Joel Rinebold Biography | Connecticut Center for Advanced Technology, Inc.
Mr. Rinebold is associated with the development energy projects and energy planning initiatives in the region. At the Connecticut Center for Advanced Technology (CCAT), a federally-supported program established to strengthen technology-led economic competitiveness, Mr. Rinebold is Director of Energy Initiatives with a focus on energy and infrastructure planning, the development of renewable and advanced energy technology, and economic development associated with energy management. Mr. Rinebold was instrumental in establishing the Connecticut Hydrogen Fuel Cell Coalition and the Northeast Electrochemical Energy Storage Cluster. Mr. Rinebold is also engaged in several development initiatives for energy facility siting, advancement of hydrogen and fuel cell technology, “microgrid” infrastructure, and the establishment of renewable energy facilities using agricultural biomass and wind. Mr. Rinebold was the founding Executive Director of the Institute for Sustainable Energy at Eastern Connecticut State University, established to promote an improved awareness of energy uses, efficient use of energy, and protection of environmental resources. Mr. Rinebold was Chair of a state legislative Task Force to assess regional energy infrastructure and Chair of a state Legislative Task Force to assess energy infrastructure crossing Long Island Sound. Previously, Mr. Rinebold was the Executive Director of the State of Connecticut Siting Council where he directed all activities for electric forecasting and the site regulation of energy, telecommunications, and waste management facilities since 1985. Prior to serving with the Siting Council, Mr. Rinebold worked as the District Manager for the U.S. Department of Agriculture, Litchfield County Conservation District. Mr. Rinebold has served as adjunct faculty at Middlesex Community College and Central Connecticut State University teaching senior and graduate level environmental planning classes. Mr. Rinebold is considered an expert in energy and telecommunications issues, and has presented papers and lectured on these issues throughout the United States, Canada, and Europe. 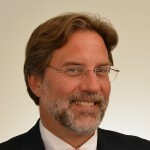 Mr. Rinebold is a Board Member of the Connecticut Power and Energy Society, Board Member of the Fuel Cell and Hydrogen Energy Association, a member of the ISO New England Planning Advisory Committee, and a member of the Citizens Advisory Committee for the EPA Long Island Sound Study.